Trifecta is a powerful and dynamic new string trio, presenting concerts designed to surprise, delight and stimulate their audiences. Made up of three of New York City's most accomplished and versatile chamber musicians, Trifecta's debut season consists of appearances across the US and Canada, working with organizations such as the ChatterABQ series in New Mexico and the IRIS Orchestra in Tennessee. Violinist Sarah Whitney, praised by the Washington Post for her " marvelous violin acrobatics," is equally expert at playing classical concerti as she is improvising jazz and rock solos on the violin, and is the founder and artistic director of the innovative concert series Beyond the Notes. Violist Angela Pickett, who holds a Doctorate from the Manhattan School of Music, is not only an accomplished violist, winning several awards in her native Canada including a career grant from the Canada Council for the Arts, but is also a distinguished fiddler, appearing onstage on Broadway in the shows "Come From Away" and "Bright Star." 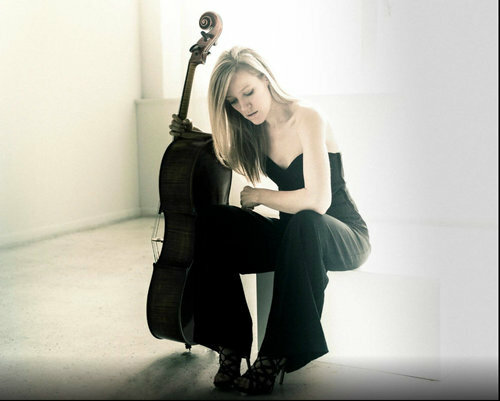 Cellist Laura Metcalf, lauded by Gramophone magazine for her "brilliant" playing and "gloriously warm and rich tone," has seen her two most recent album releases both reach the top ten of the Billboard Classical Charts, and has been invited to tour internationally to countries such as Australia, Qatar, Nepal, Mongolia, Malaysia, India and many others. All three players are also members of the acclaimed string quintet Sybarite5, the first ensemble of its kind ever to win the Concert Artists Guild Competition. With the quintet, they have performed hundreds of concerts worldwide, including over 40 US states, Argentina, Canada and Japan. Trifecta is also dedicated to collaboration; their instrumentation and experience allow for flexible collaboration with many different instruments and musical styles. Sarah is recognized as a pioneer in changing the perception of classical music and the way it is presented; in 2015 she founded Beyond the Notes, an innovative concert series that breaks down the boundaries between the audience and the performers. Sarah also performs regularly in the Seeing Double Duo with acclaimed violinist Julia Salerno, having been featured on the Rochester Chamber Music Society, New York City House Concerts and the First Parish Concert Series. Sarah is co-founder of the Jingle Punks Hipster Orchestra that has been featured on Mashable, Perez Hilton, Revolt TV, as well as with the rapper NAS in Johannesburg, South Africa. Additionally, Sarah has collaborated with the Alvin Ailey and Jose Limon dance companies, as well as featured on-stage with Adele, Ellie Goulding, the Transiberian Orchestra, Jeff Beck, Anne Murray, Andrew Wyatt, Tommy Lee, and with Father John Misty. A native of Newfoundland, Canada, Angela Pickett has performed as a violist, violinist, and fiddler throughout North America, South America, Europe, The Carribbean, and Japan. A two-time recipient of the Canada Council for the Arts Career Grant, Angela’s solo performances have often been featured on the Canadian Broadcasting Company’s regional and national radio programs. In 2006, Angela was a winner of the International Viola Society’s competition for the performance of a Canadian work, and was subsequently invited to perform at the XXXIVth International Viola Congress in Montreal. Angela is currently the violist of acclaimed string quintet Sybarite5, with whom she has performed in thirty-five states, in venues ranging from Carnegie Hall and The Library of Congress to the NYC Apple Store and SubCulture. Sybarite5 has commissioned and premiered numerous works for string quintet, and their debut EP “Disturb the Silence” reached the Top 10 of the Billboard Charts. The ensemble has often been featured on NPR radio, and has recently been the subject of articles in Strings Magazine, Symphony Magazine, and The Strad. In 2013, Angela completed a doctorate from the Manhattan School of Music, and her dissertation focuses on Sybarite5’s recent contributions to the repertoire for string quintet. Angela currently lives in New York City where she is the principal violist of the Canadian Chamber Orchestra of NYC and also performs with ensembles including the IRIS Orchestra, the Princeton Symphony Orchestra, and the Argento Chamber Orchestra. 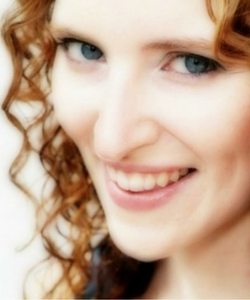 In addition to a DMA from the Manhattan School of Music, Angela holds a Masters degree from the Juilliard School and a Conjoint Honors Bachelor of Music in Viola Performance and Music History from the Memorial University of Newfoundland. In 2011 Laura was appointed to the cello-percussion quartet Break of Reality, with whom she has toured extensively worldwide, most recently being presented by the Eastman School of Music at the Eastman Theatre in Rochester, NY, the Austin Chamber Music Festival, the Victoria Bach Festival, and in Haiti and Kazakhstan by the US State Department. Their albums routinely sell in the tens of thousands worldwide, and they recently premiered an original concerto featuring the group as soloists with the Laredo Philharmonic. Laura performs regularly as a duo with renowned classical guitarist Rupert Boyd, with whom she has toured to Australia, India and Nepal. Laura was appointed to the Malek Jandali trio in 2015, a trio with piano, cello and oud dedicated to new music and humanitatian causes. The ensemble has performed twice in Carnegie Hall , has toured to the United Arab Emirates., and has been featured in National Geographic and BBC World News. Laura was the founder of the Ansonia Trio, who won the Grand Prize in the 2009 Rutenberg Competition at the University of South Florida The trio was praised for its "tremendous musical range" and "consummate skill." Prior to the Ansonia Trio she was a member of the Stella Piano Trio, who were the top-ranked North American Ensemble in the 2007 ARD Munich Competition and won the Artists International auditions. As a former member of Ten O'Clock Classics, a four-piece collective of soloists committed to performance and outreach, she toured to 27 cities nationwide in 2010. She has also been a member of the Tarab Cello Ensemble, a group of 8 cellists with whom she has performed in the U.S. and Mexico. She has performed chamber music in Carnegie Hall's Stern Auditorium, (le) poisson rouge, National Sawdust, the Chateau de Fontainebleau in France, the French Consulate of New York, Kaufman Hall at the 92nd St. Y, the Cathedral of St. John the Divine, Bruno Walter Auditorium, and many other venues.